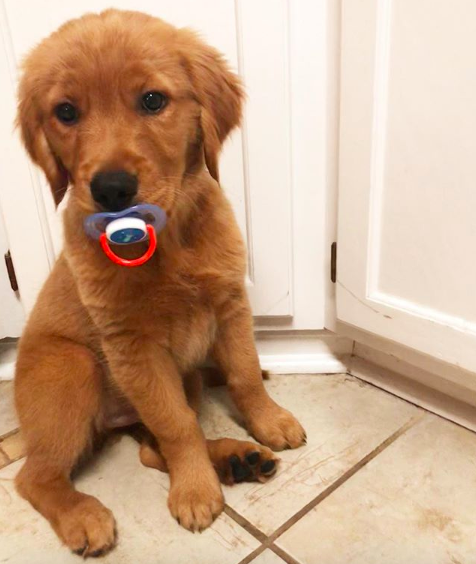 Puppy Steals His Big Brother’s Pacifiers For Himself & We’re In Love. 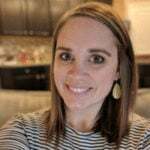 Parenthood looks different on everyone because there are multiple ways to be a mom or dad. 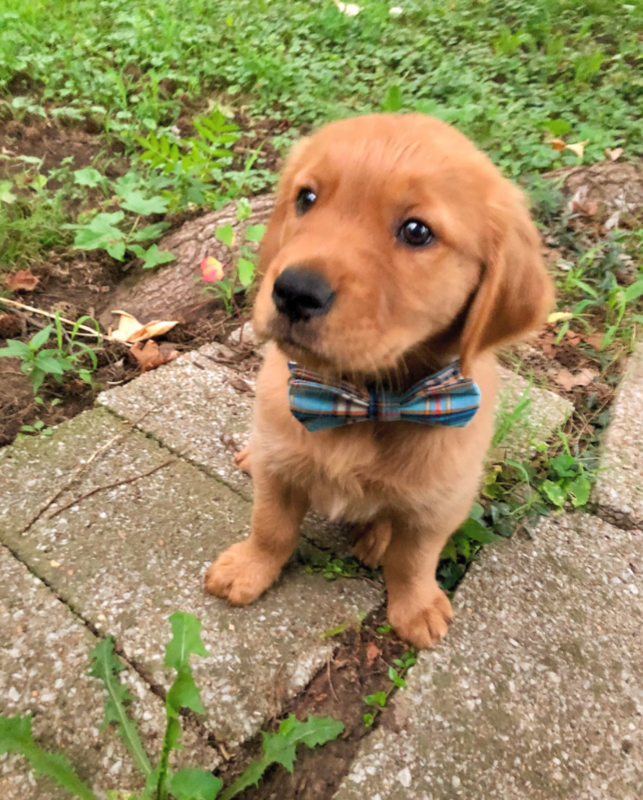 For some, it’s having lots of human babies and for others, it’s fostering puppies from the shelter until someone is able to adopt them. 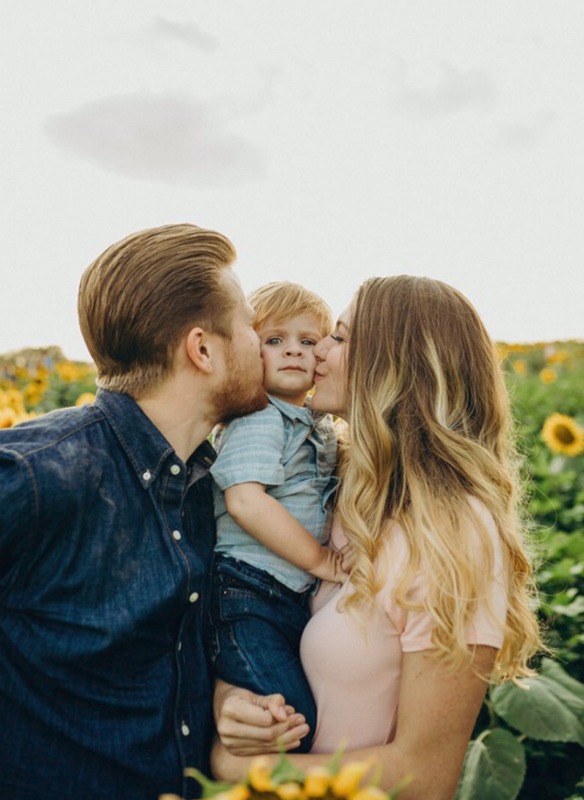 For Holly Krakowski, parenthood is raising her toddler son Luka and her sweet dog Roger. Like all good mamas, Holly shows her love for both of her boys pretty evenly. If she’s not tweeting about the latest shenanigans Luka has gotten into, she’s showing off how adorable Roger is. But here’s the thing, like most dogs, Roger loves attention, especially when it comes from his mom and dad. However, when he’s not getting those sweet tummy rubs and instead, his brother is getting some love, Roger’s green side comes out. Yes, little Roger has a real jealousy problem. And how does that envious side manifest itself in the fluffy golden? 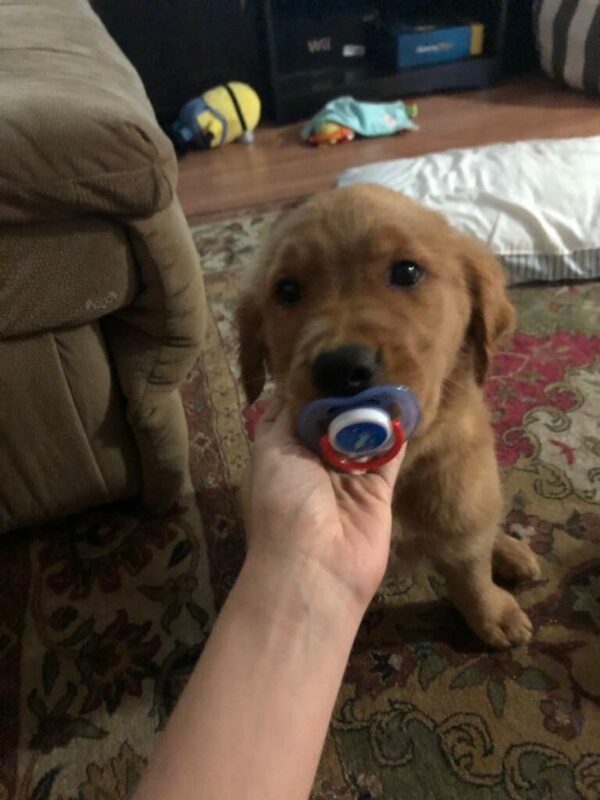 Well, Roger ends up stealing Luka’s pacifiers… for himself. They say imitation is the sincerest form of flattery, but in Roger’s case, it’s also the cutest one. When the internet heard about Roger’s hysterical antics, they were understandably delighted. 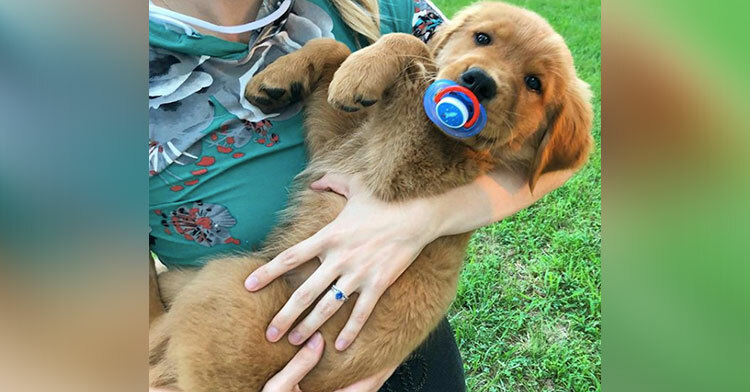 Photos of him stealing Luka’s pacifiers quickly went viral… and as it turns out, this isn’t an uncommon problem! 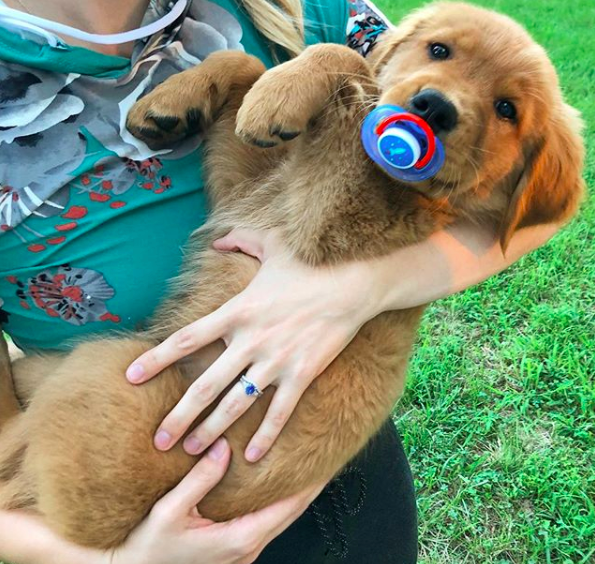 Twitter users were quick to chime in, sharing their own experiences with the pacifier, attention-seeking pups in their lives. 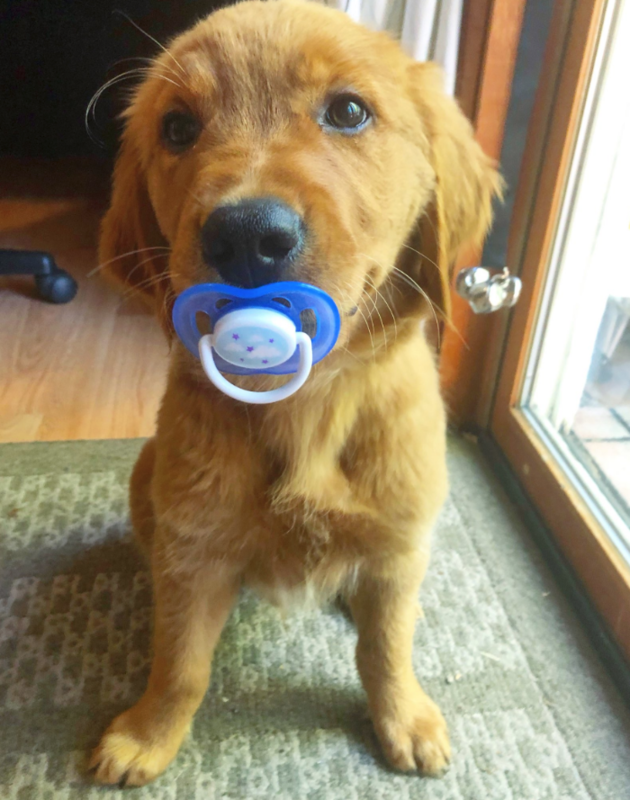 Whatever the *real* story is, we don’t care, as long as we keep seeing cute photos of Roger nomming on pacifiers! 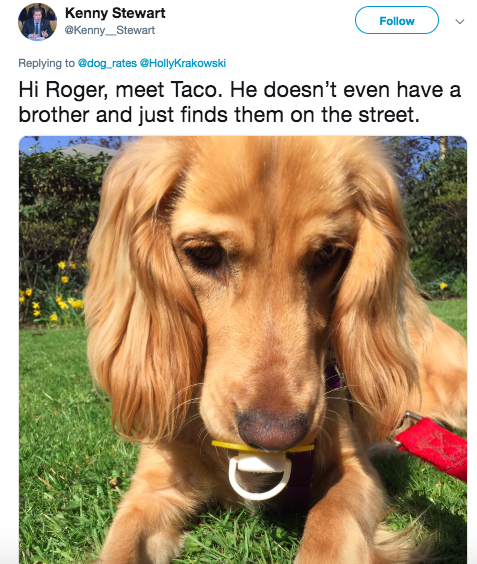 Share Roger’s story with your dog-loving friends, or anyone who just needs a chuckle.